Bernd Dallmann has been Managing Director of FWTM – Freiburg Wirtschaft Touristik und Messe GmbH since 1987. As course leader and lecturer, he also founded the Freiburg economic development school in 1994 in the form of a part-time course of study at the Academy for Business and Administration in Freiburg (VWA). 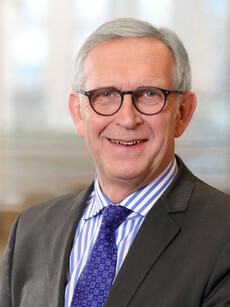 From 1999 to 2007, Bernd Dallmann chaired the Economic Development Commission of the German Association of Towns and Cities (Deutscher Städtetag). He is the driving force behind the label GreenCity Freiburg that he uses to emphasise the environmental profile of his home city, particularly at an international level. Bernd Dallmann is founder and chairman of the European Environment Foundation.